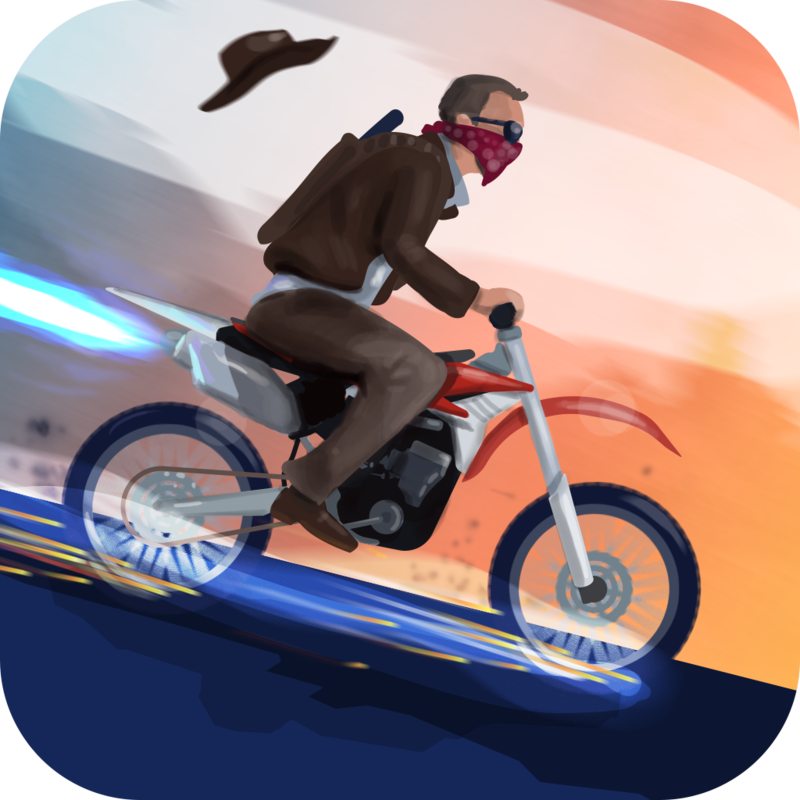 Badass Trial Race Free Ride (Free) by Zoltan Lading and Three Legged Egg is a fun new way to get some trial racing action on your iOS device. 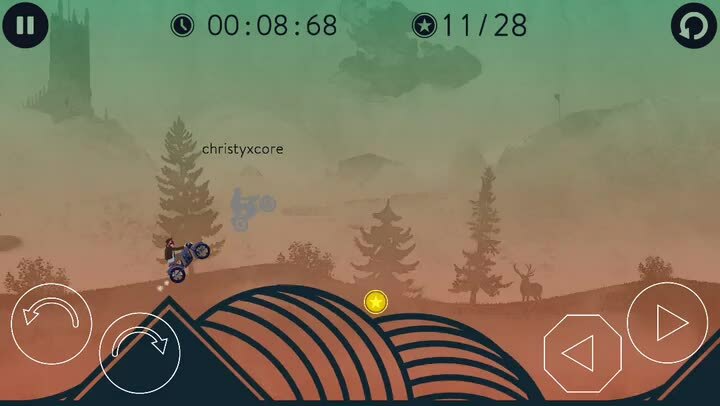 If you enjoy racing games with crazy tracks and tight control, such as Trials Frontier, Joe Danger, and Joe Danger Infinity, then Badass Trial Race (BTR) could be a welcome addition to your collection. While racing games aren’t exactly my favorite, I do enjoy them from time to time, especially when doing cool tricks is involved. I mean, I could never do this kind of stuff in real life (knowing me, I’d probably injure myself too much), so at least I can get the thrill and exhilaration through video games, right? When information on BTR first hit my inbox, I was intrigued, because Three Legged Egg, the guys behind Sky Tourist, were involved. So I gave it a try, despite not being the biggest fan of the genre. The visuals in BTR are my favorite thing about the game. You have beautifully drawn backgrounds with a colored gradient overlay on top of it, giving it a nice, soothing effect. The courses in each level are pretty simplistic, though, which can be a good or bad thing, depending on your viewpoint. I say this because they are just straight lines, curves, and geometric shapes for obstacles. 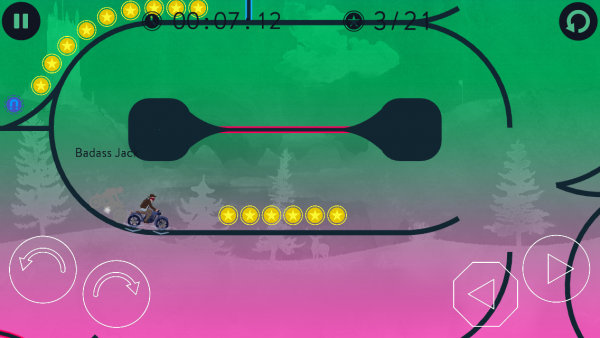 Your character and his bike are much more detailed than the actual levels, which is nice, and the animations are smooth and fluid. The music is a nice mix of being ambient, yet adrenaline-pumping when you get going in the game. Sound effects are fun to hear, and can even feel a bit realistic, such as when you crash. 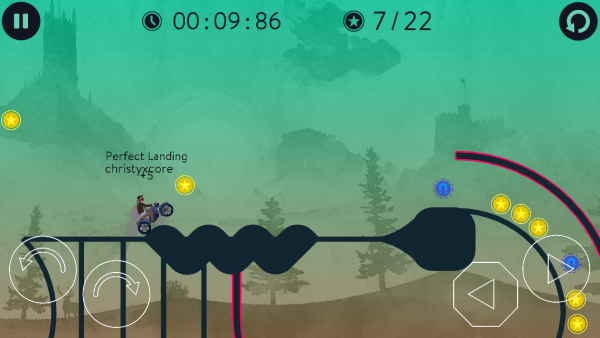 BTR has eight different areas for you to race through, with 10 levels in each. Unlike other games though, to gain access to the next level (or any level — they don’t need to be played in order), you need to spend a star to unlock it. 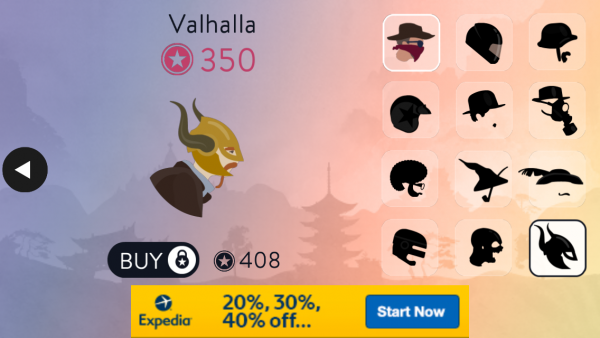 You can earn up to three stars on a level by completing it, finishing under a time limit, and collecting all of the coins that you come across. 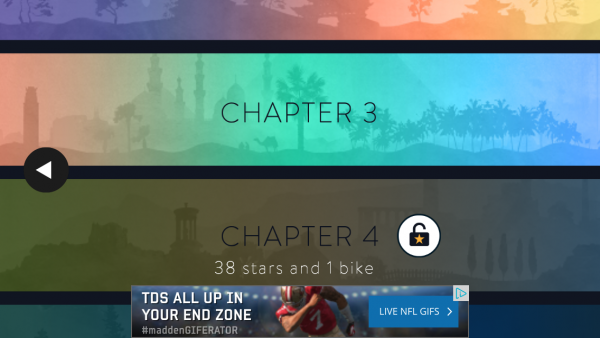 Later chapters can also be unlocked by having enough stars, as well as new bikes in your arsenal. Personally, I’m not a fan of how this game is set up. 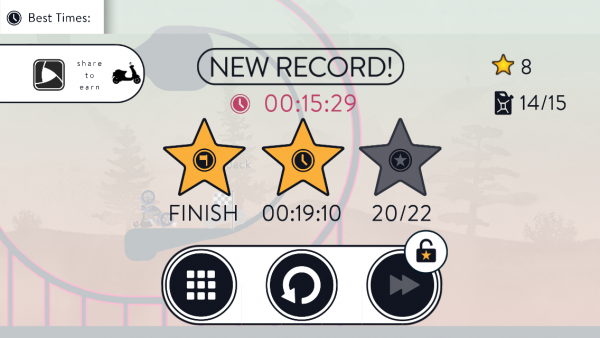 Spending stars to unlock the next level is weird and unconventional — I’d rather just have access to the stages in linear order by beating the previous one. 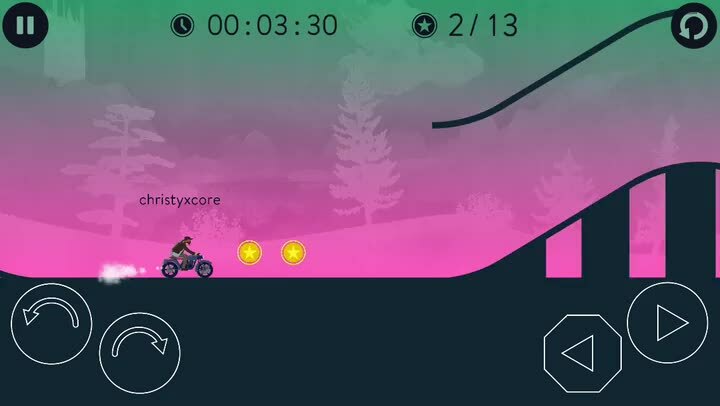 Each stage has a different layout, of course, and your goal is to get from the starting point to the finish line in as little time as possible, while also getting those shiny gold coins. 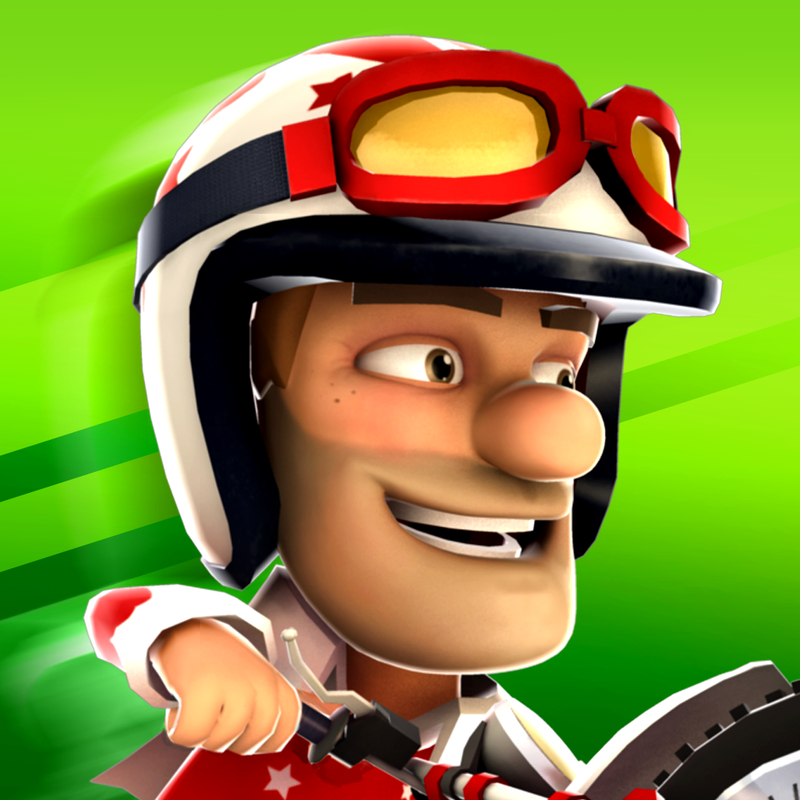 Avoid crashing into the walls, because if you do, your bike is toast, and you’ll need to restart. 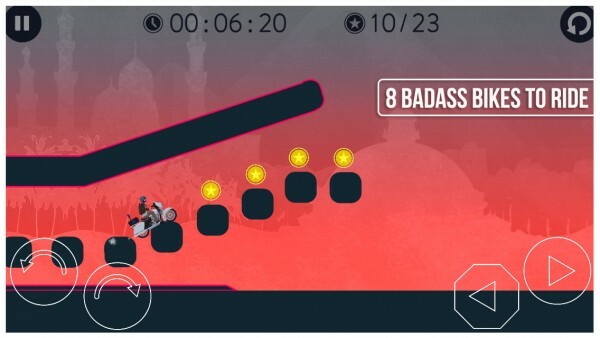 To spice things up, each level will have a “ghost rider,” who is whoever had the fastest time on that stage on Game Center (this can be your friend or someone on the global leaderboards). 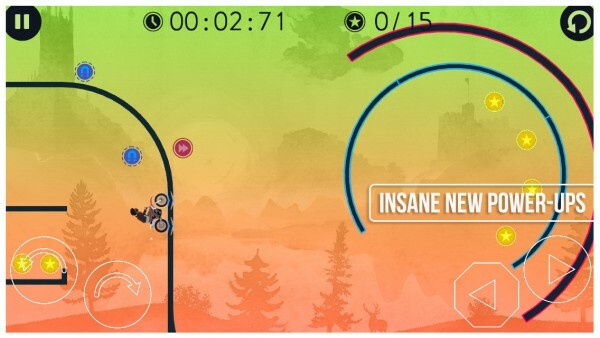 The developers call this a time shifted multiplayer mode, and it will definitely bring out your competitive side. The controls in BTR are straightforward and precise. 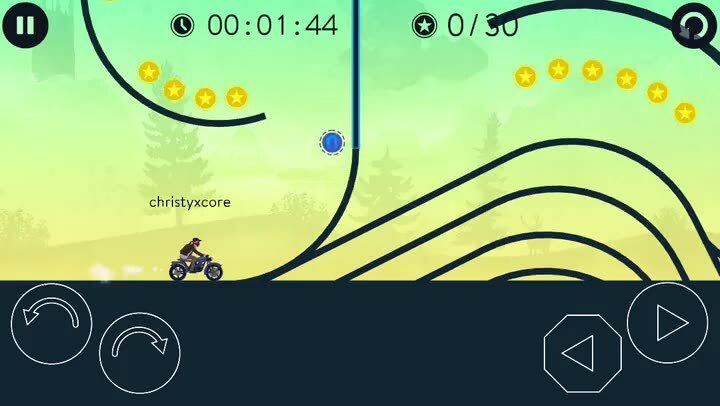 In the bottom left corner, you have two buttons for doing a front or backflip. On the right side, you have buttons for accelerating and braking. 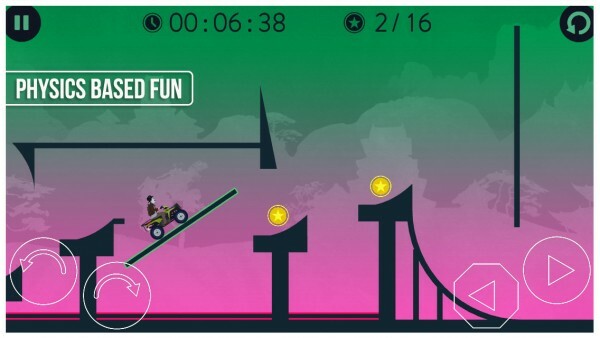 I thought that flips would get you more points, but this isn’t necessarily the case, since the game is time-based. However, the point of the flip buttons is to make sure that you land correctly after going through things like loops and ramps, to make sure you don’t hit a dead end. I found the sensitivity to be good — they weren’t too stiff, but not overly sensitive either. 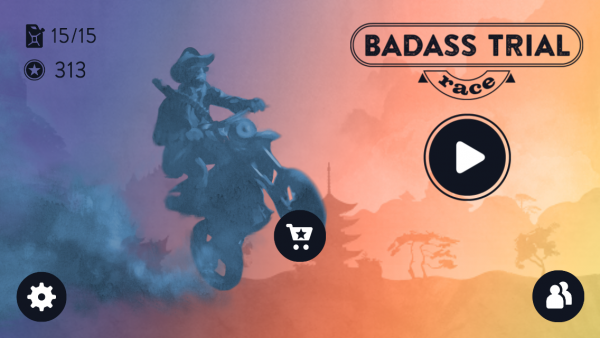 Now, those coins you accumulate as you play can be used in the shop to get cool new bikes, headgear, and fuel. The bikes will all have different speeds and handling, so as you buy them, it’s important to take some time to master them. The headgear is a fun accessory to change your look, and also give you a bit more protection from hits. Since BTR is a freemium game, fuel is just a fancy term for energy system. Your tank has a limited capacity, but you can upgrade it to hold more gas, or refill it if you’re running low. 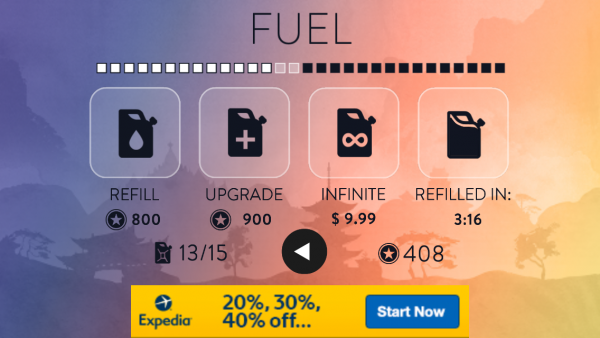 There is also a $9.99 in-app purchase to have infinite fuel, though I really think that’s an absurd price. Other IAPs are for unlocking later chapters ($0.99 a pop) and removing ads. 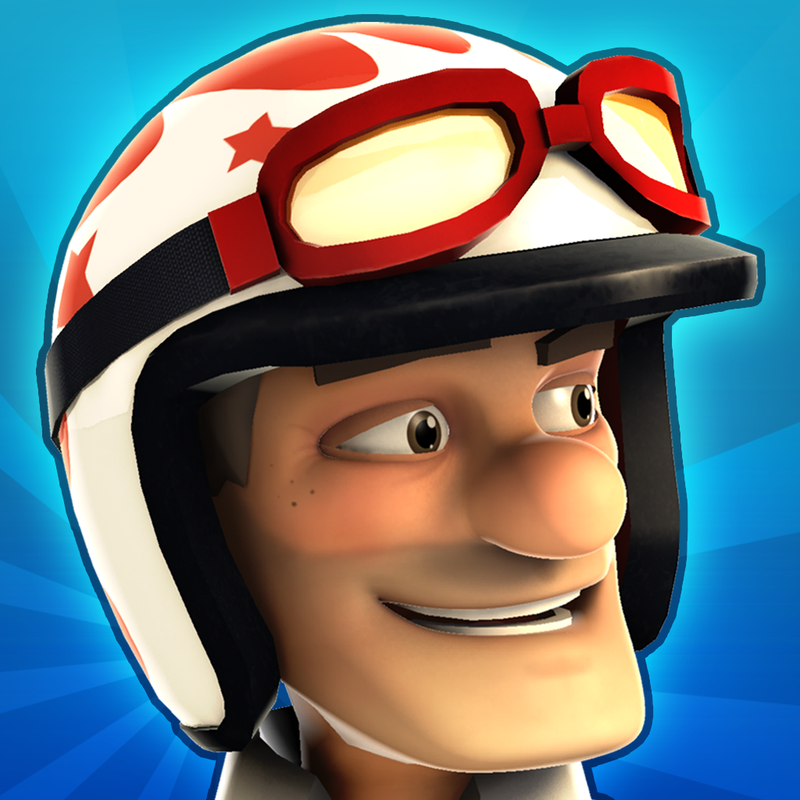 BTR is a gorgeous game, but I think it has been a bit crippled with the freemium experience, as well as unorthodox progression system. 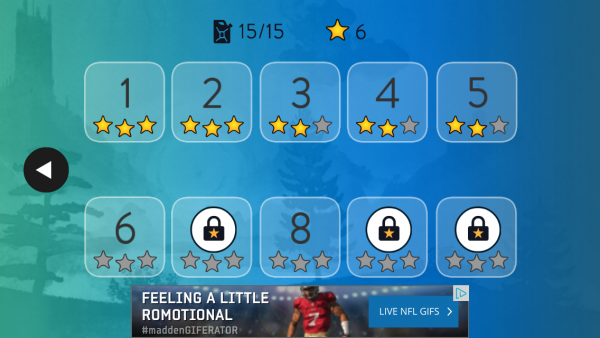 I would prefer to not have to pay stars to unlock levels, and I just dislike the energy system in most freemium games nowadays. 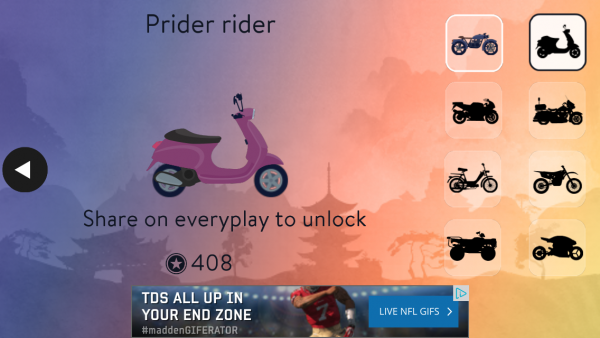 The bikes also seem a bit expensive, considering you only get so many coins from each race. I hope that BTR gets these things fixed in a future update, because other than those flaws, I am enjoying the game. 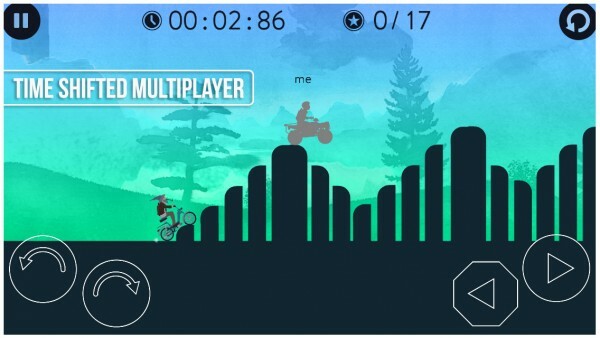 If you’re a fan of trial racing games, then give Badass Trial Race Free Ride a look. 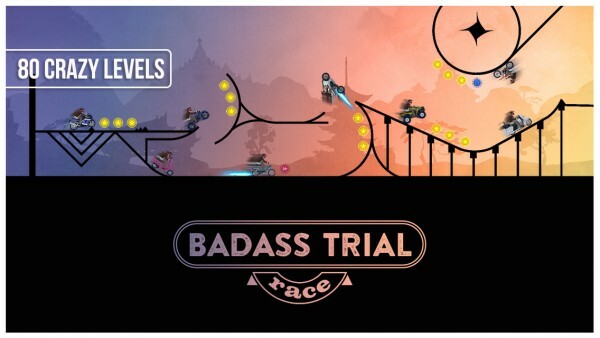 It may be freemium, but it’s still a fun way to kill some time. You can get it on the App Store as a universal download.